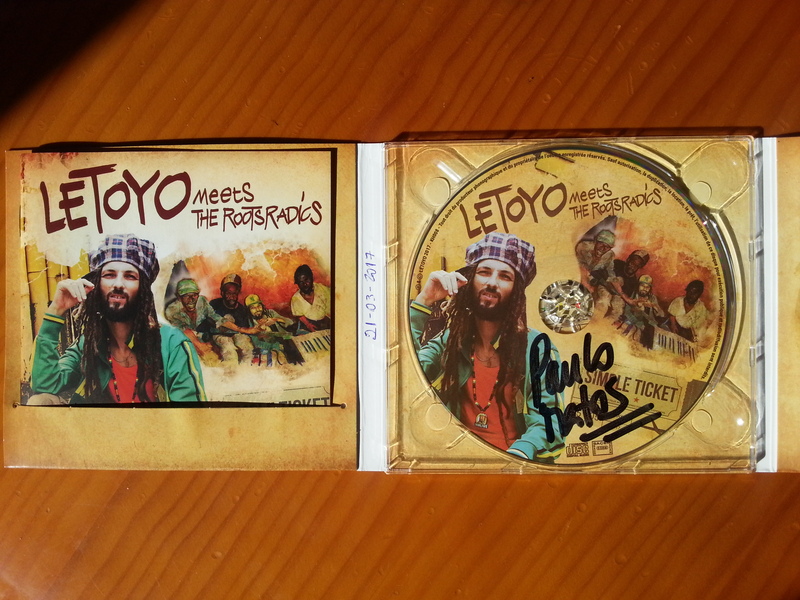 "Simple ticket", Letoyo's first album in national release in collaboration with the Roots Radics is a pure reggae album, which touches the artist closer. A warm and tropical vibes, lyrics in French and Jamaican rhythmic foundations, Letoyo reveals himself and affirms a true identity in his music. He gives us live, urgent songs that resemble him and that tell him. Letoyo, a child of the world with the mixed heart grew up on the island of Reunion. His journey begins on his land of welcome where he quickly makes a name. Encouraged by the public and the local critics, it ignites the catwalk of the island during many first parties of artists of international fame. He released his first album "Ecoute" in 2009, then an EP "Kér Métissé" in 2013 whose eponymous song offers him a significant visibility in the landscape of French reggae. With a Simple Ticket, for more than six months, it was on another island, in Jamaica, that Letoyo went to design his new opus, and his quest paid off. 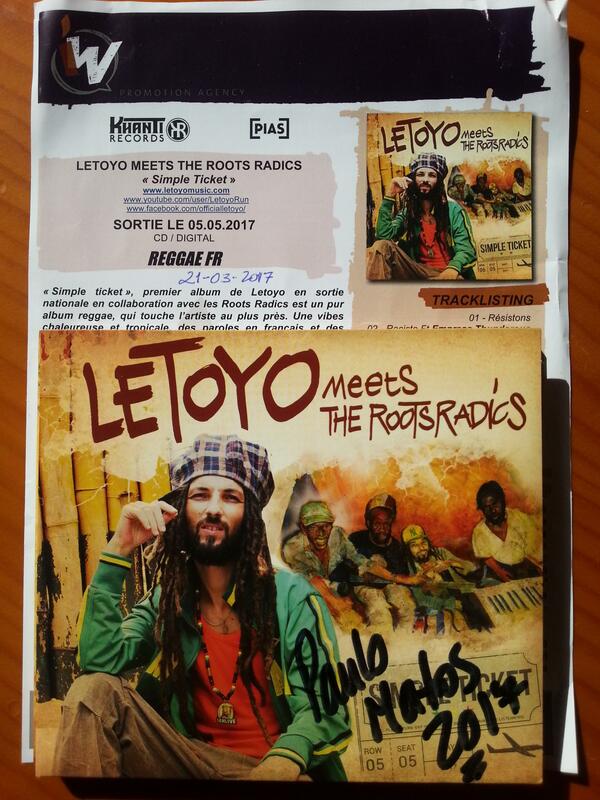 On the spot, Errol Flabba Holt, a Jamaican bassist on the podium of Israel Vibration in Reunion, suggests that the Roots Radics band interpret the rhythmic basis of the ten original titles originally composed by Letoyo. The appointment is made in the legendary Studio Harry J for recording the album "Simple Ticket" with Lincoln Style Scott (RIP) on drums, Errol Flabba Holt on bass and Obeah Denton on keyboards. 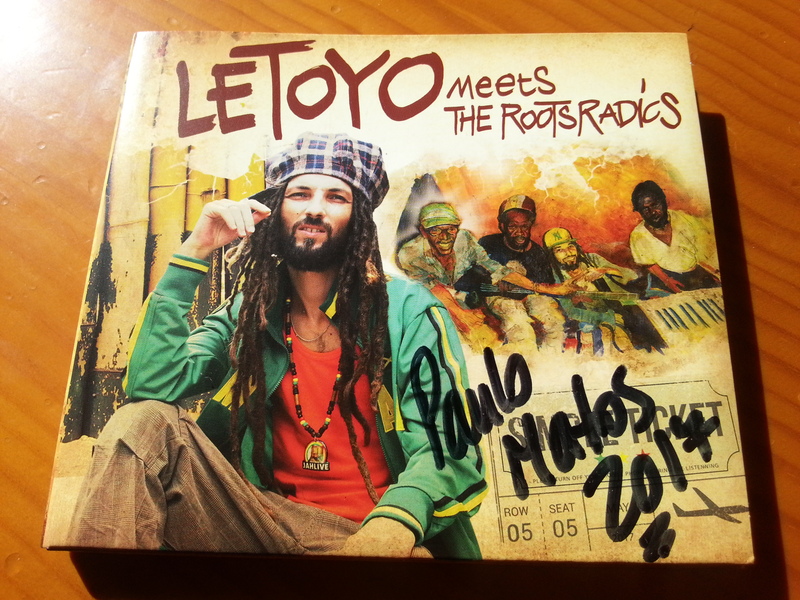 Letoyo was even given the opportunity, thanks to Earl 'Chinna' Smith, to record his guitar parts with the instrument of this living legend of the Roots Reggae. Back in La Reunion, Letoyo recorded punchy lines with a sustained tempo, live, with his horn section (Marc Elvira on trumpet, Lionel Grondin on trombone, Julien Kopeinig on sax). Mixed with talent by Lynford Fatta Marshall (Shaggy, Culture, Luciano ...) at Studio Mixing Lab in Kingston, the voice of Letoyo is highlighted and brings to its titles a power and a soul that had never reached until, right here. Letoyo takes the time to surround himself by signing with the label Khanti Records and "Simple Ticket" is distributed by PIAS. The album consists of 11 original songs sung in French. The lyrics of the songs are solid and cover several themes. All the titles illustrate life stages. Racist, a story of friendship and difference of point of view; A star a melancholic ballad and a reflection on life, or even Dreadlocks that evokes the difficulty of wearing dreadlocks as well as the force that it provides. One is shaken by the title Resistons which is a call to resist the attacks of the daily. All around Jamaica invites us to travel. 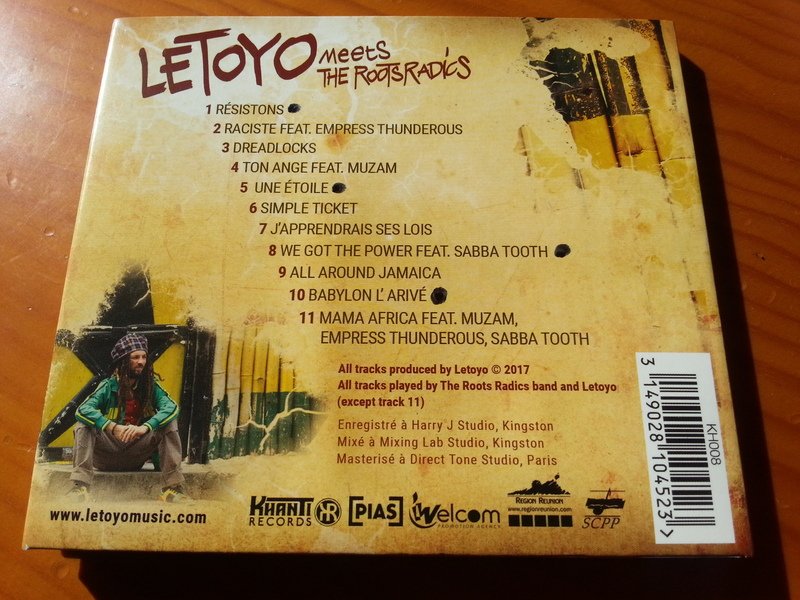 The history of this album is made of encounters, so it is quite natural that Letoyo invited Jamaican artists. The impressive Empress Thunderous (on the Racist track); The soulman Muzam (on the title Your angel); Sabba Tooth, Jamaican dancehall artist (on the title We got the power). Little bonus, the illustrious guitarist Kubix has written a few notes on two tracks (Raciste and Une étoile) during a transit of a few days between Paris and Kingston! Rhythms and flow that are reminiscent of the work of a Tiken Jah Fakoly, Steel Pulse or Alpha Blondy, bring an African note to Jamaican reggae. The mixed cultures of Letoyo add to its titles ternary, tribal accents, almost rock. There is always joy and positive, a dynamic drive and free, and it is on stage that the artist releases and best shares this warm energy. Rich of meetings and travel, Letoyo offers a fresh and contemporary album, natural and authentic. 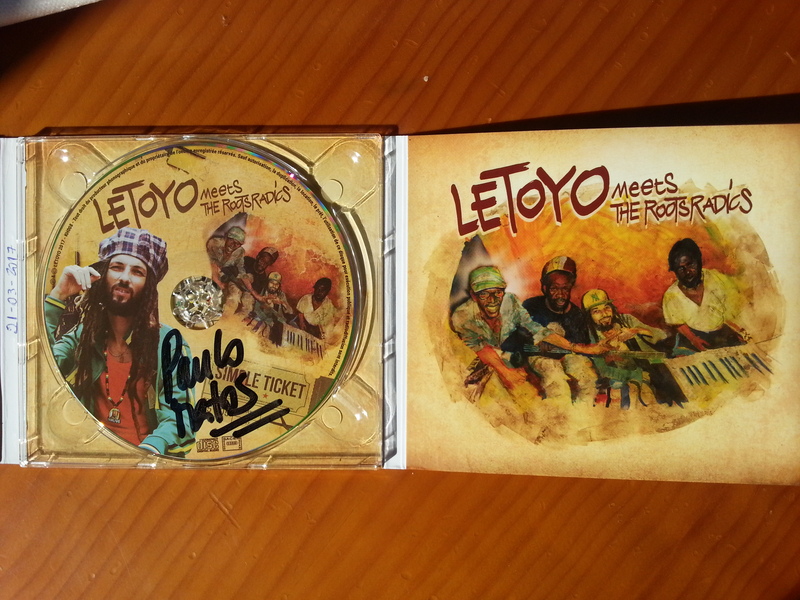 A first official album, punctuated by the sun, invites you to discover the soul of Letoyo and all its generosity.